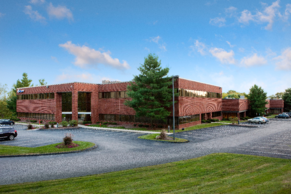 Metamagnetics, Inc. recently moved to its new, expanded office space at 115 Flanders Road, Westborough, MA. Metamagnetics focuses on the commercialization of ferrite-based magnetic material technologies for mission-critical security, surveillance, and communication systems. To keep up with the recent success of its government-funded research and development (R&D) programs for Department of Defense (DoD), including Defense Advanced Research Projects Agency (DARPA), the company has grown its employee headcount from 13 to 16 over the course of the past year. Mike Hunnewell, Director of Business Development, said, "As we settle into our new office, this is an exciting time for us—the interest around advanced self-biased circulators and frequency selective limiters has grown and so has the demand. The move is in response to Metamagnetics securing funding for DARPA's newly announced Magnetic, Miniaturized, and Monolithically Integrated Component (M3IC) program. The research will focus on integrating miniaturized magnetic components into the microelectronics mix, with the goal to catalyze chip-based innovations in radar and other radio frequency (RF) systems. The program will span over the next five years and will hopefully open a pathway to more capable electromagnetic systems."